These bright, glowing flowers will brighten up the dullest spring day in shades of crimson, rose, salmon together with white. 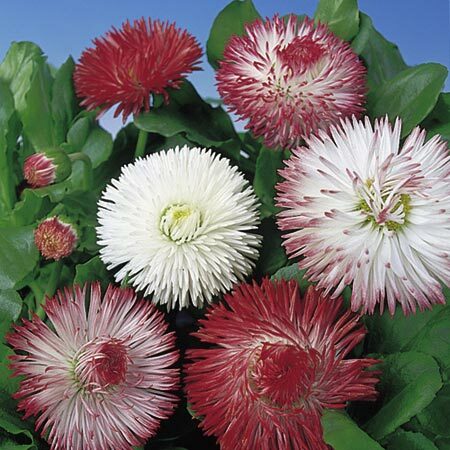 You just have to have these flowering with tulips in spring! Easily grown plants for edging and spring bedding. HB - Hardy biennial. Height 15cm (6"). Sow May-July, flowers April-June the following year.